This week sees the first of this year’s best of British double bills with two cult British classics. First up is from Alan Clarke’s 1979 iconic borstal drama SCUM, this brutal portrayal of youth incarceration starring unknown actors Ray Winston and Phil Daniels was subsequently banned on its release for it’s hyper realistic and uncensored portrayal of prison life. 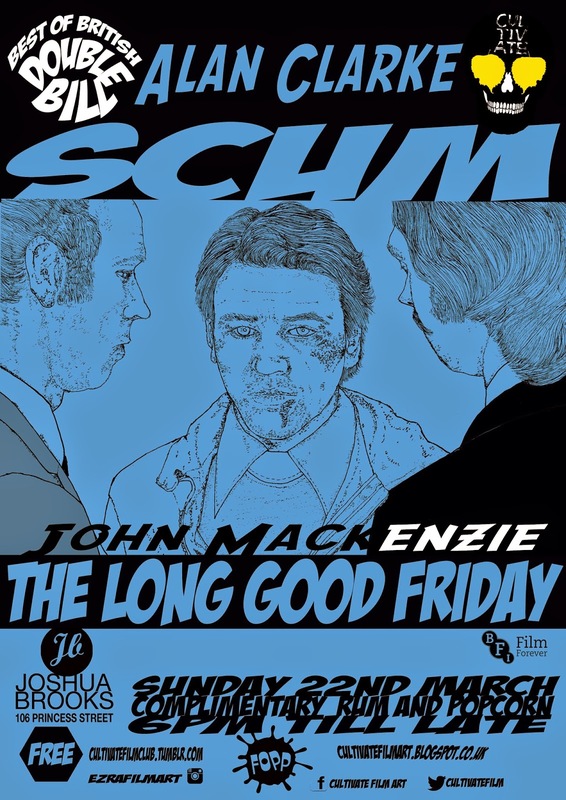 Next up is the John Mackenzie classic look at the London underworld from 1980; LONG GOOD FRIDAY the original British gangster movie that has never been replicated for is sharp incisive take on the gangster thriller genera.